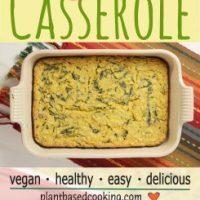 This baked corn casserole is a great substitute for the unhealthy version typically served at family functions or on holidays. You know the one with tons of butter and cheese. This version has a Southwest influence by using mild green chilies, salsa or enchilada sauce, avocado and a sprinkling of cilantro. If you want to add another layer of flavor you could throw in some black beans. I have designed this one to be served as an appetizer with fresh baked chips (especially corn chips) see my recipe for the baked version. It’s delicious and so flavorful as a dip and would be perfect for any kind of party or gathering. We use tofu in this recipe. Tofu is a great source of protein. See my post, “The Safety of Soy” if you have concerns about eating soy. It also uses corn and while I state you can use canned, the fresher is just so much better. If you feel intimidated about cutting fresh corn off the cobb, standby I found this easy tutorial. If you’re still not sure you want to do it that method…. no problem, there are some handy kitchen tools you can use that make cutting fresh corn a breeze! You don’t have to just pigeonhole this recipe for appetizers. 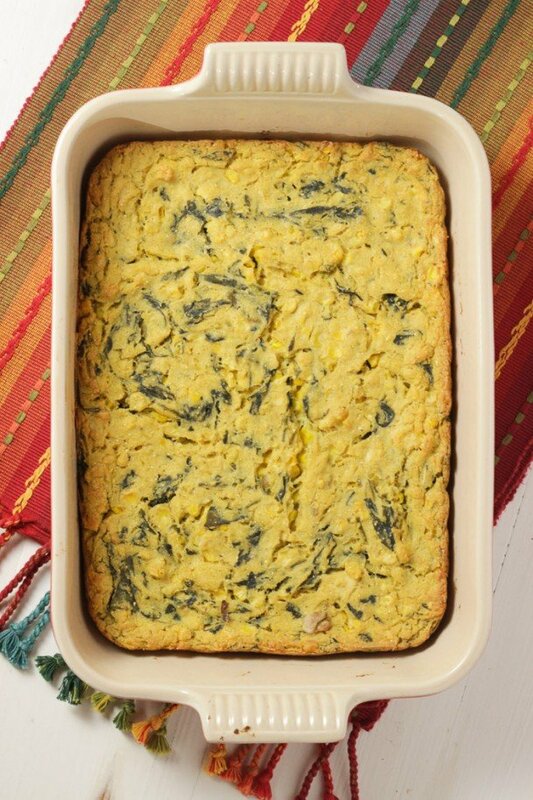 It is hearty and delicious enough to have as a side dish or complete meal. 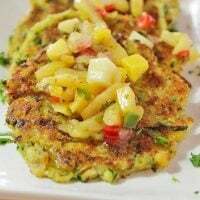 You can serve this with a nice salad or crunchy slaw or even fruit salad. It would make a yummy meal and it’s quick and easy enough to serve on a weeknight. It doesn’t take long to prepare so busy moms and wives can appreciate this recipe. 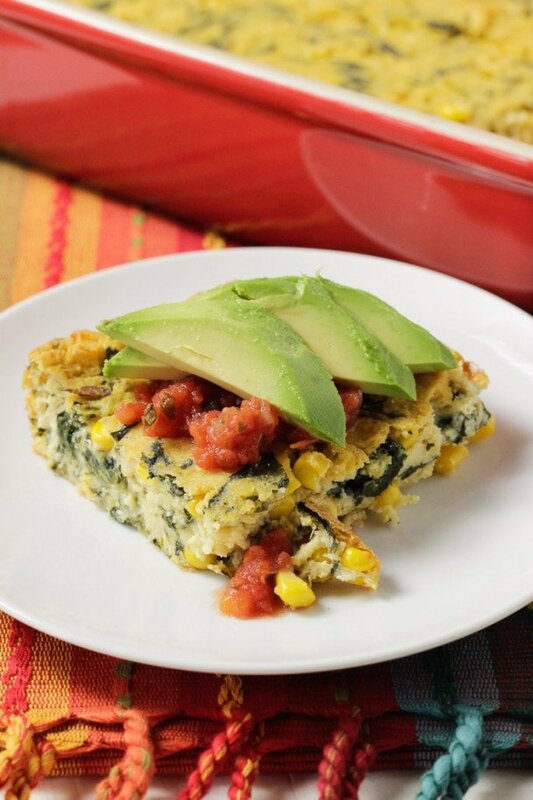 I'd love to hear your feedback in the comments below for this Baked Corn Casserole Recipe! 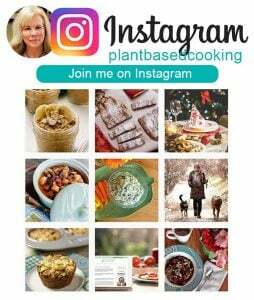 If you have a photo, post it on my Instagram page, tag me using the hashtag #plantbasedcooking in your caption, and I won't miss it! 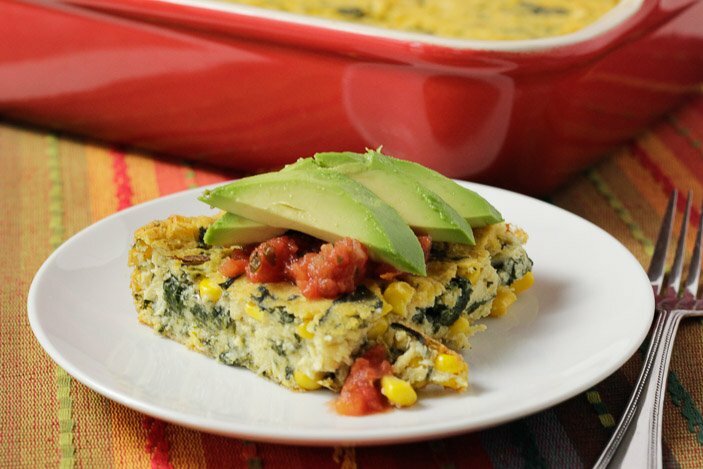 This baked corn casserole is an all-around appetizer that doubles as a perfect main dish. Dig into it with chips or bring it as a potluck side. Super, simple but amazingly delicious! Prepare cornmeal by heating 1 1/2 cup water in a medium saucepan with 1/2 cup of the milk alternative until almost boiling. Slowly whisk in the corn meal and stir constantly until mixture thickens. Transfer to a large bowl. To a food processor, add the garlic, tofu, 1 cup corn and remaining 1/4 cup milk alternative. Process until smooth. Stir into the cooked cornmeal in the large bowl. Add the spinach, remaining whole corn, diced chilies, baking powder, spices, salt and pepper and mix well. This may take some elbow grease. Bake for 60-70 minutes until crispy and firm at the edges. The middle will be a bit wiggly still. 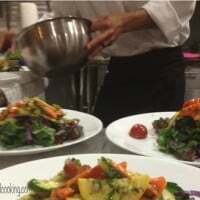 Let stand for 20-30 minutes before serving. Is there a way to make this without Soy or Tofu? I am so allergic to both of these, and this recipe sounds great. I’m sorry to hear about your allergy. 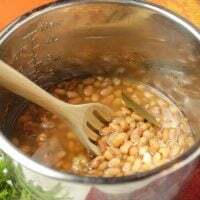 I’ll have to mull that over and think about what could substitute, maybe beans, like cannellini…I can’t think of anything else off the top of my head. 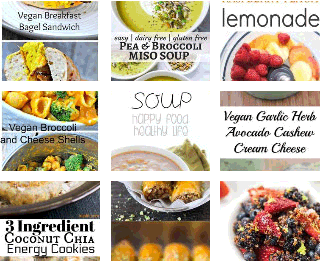 OMG – my husband and I started eating Plant Based about 3 months ago. Tried this recipe tonight and we love it. We added the black beans as suggested. It was pretty funny, but we had an out of town guest at our house who is not Plant Based, but he enjoyed it. 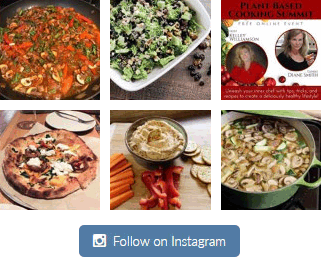 Thanks for a great recipe – we will be taking this one to a pot luck next week. Hey Kathy, Thanks for the feedback and I’m so glad you all enjoyed the recipe, even your out of town guest! Yay.